It is my belief that proper planning can make all the difference in how smoothly your school year runs. I confessed in A Letter to First-Year Teachers that I planned my school year on the fly my first year of teaching and it was a disaster! Like, improperly deep-frying a turkey DISASTER. To assess ourselves as planners, we have to look at the the smallest increment of planning, and that is how we plan each day. This ties directly into time management, which we'll talk more about in February, but let's take a look at how we construct our daily lesson plans. When I was doing my student teaching back in 2010, part of my university's program requirements was that I had to submit lesson plans for review to my instructor. I had to show her my lesson plans before I began student teaching and I had to have them prepared for her observations. My university had a pretty strict format for those lesson plans. They had to include the lesson objective, the standards applied to the lesson, a materials list, the procedure for the lesson, and an assessment method to show that the method was effective. 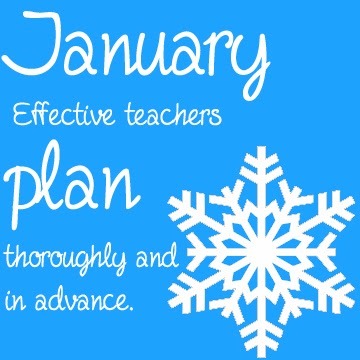 While these lesson plans were a pain in the neck to create because they were so time-consuming and extensive, they were important because it really made me consider how I was going to use class time, how I was going to drive the lesson home for my students, and how I was going to make sure they learned. It sums up the purpose of the lesson in one sentence. It is action-oriented and uses one of the action words for Bloom's Taxonomy. It is not what you, the teacher, will do; it is what the students will do. It sometimes lists the expected result or the product. It should be posted in your classroom! One-sentence summary: Can't fit it in one sentence? Maybe the lesson is too complicated! Maybe the reason you feel like you never get anything done during class time is you are over-planning. This one sentence rule can set some boundaries on your plans. 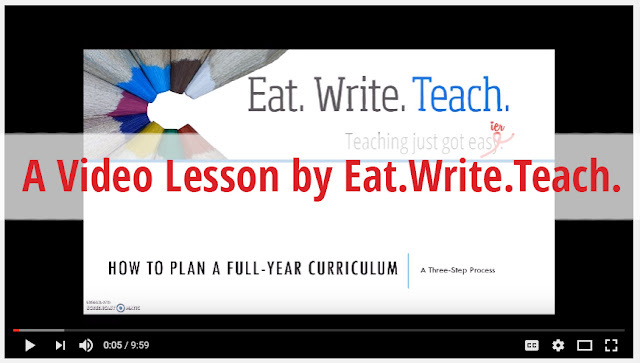 Maybe you have no idea how to put your lesson plan into one sentence? This suggests you might not really have a very good idea of what the game plan is for the day! That's a red flag too. This one sentence needs to be the essence of the day's lesson. Students will compare and contrast the planet Mars with the planet Earth. Students will analyze the environment on Mars and evaluate its suitability for life. Students will create a model of Mars. Student-oriented: Right along with being action-oriented, it is important that your objectives are student-oriented. It isn't what you are going to do. ("I am going to present facts about Mars.") The kids have to do in order to learn. Results or product: Sometimes our SLO will include a product. (Students will create a model of Mars.) Your administrators may ask you to include your projected results in your SLO (85% of students will be able to identify Mars in a map of the solar system) but I would recommend not including that projection in your SLO that you will post for the class. Posted in the classroom: You work really hard crafting your SLO... put that bad boy on the board! Show the kids the finish line at the get-go, so they know what they are working towards. Take the mystery out of the lesson and say, "Hey guys! This is exactly what we are doing today!" Class time will be much more tolerable (at least) for your students when they can see the light at the end of the tunnel and they know it isn't a train barreling their way. Assessable: By the end of the lesson, you will need to assess student learning, formally or informally. You can't assess "students will learn about Mars." It's too vague, and it isn't action-oriented. But you can assess a product (students will create a model of Mars), you can assess an evaluation (students will analyze the environment on Mars and evaluate its suitability for life), and you can assess a compare/contrast activity (students will compare and contrast the planet Mars with the planet Earth). SLOs are your one-sentence game plan and your goal. We can only begin to build effective lesson plans when we have a goal in mind. Once we have the goal, we can start planning the procedure for how we will attain that goal. create teacher-centered lessons; The lessons have to be focused on the student. have a "spring cleaning" or a "housekeeping" day without a guilty conscience; Sometimes we have to have those days, but writing SLOs will keep you from accidentally abusing those days and plugging in too many. ignore my students' needs; SLOs force you to be active in your classroom! The weekly challenge is meant to be applied to the upcoming school week. So, for example, this week's challenge is being posted on Friday, January 3rd, so you'll start this challenge for the week of January 6 - January 10. If you have not been writing student learning objectives in your lesson plans, add it into your lesson plans for next week. Write your SLO and check it against the requirements. If it fits the requirements and it fits your lesson plan, great! If you discover you are having difficulty applying a SLO to your lesson plan, you've got some work to do. Write your SLO first, and then tinker with your lesson plans to make it all fit together. As always, feel free to leave a comment if you have any questions, concerns, or something to add!